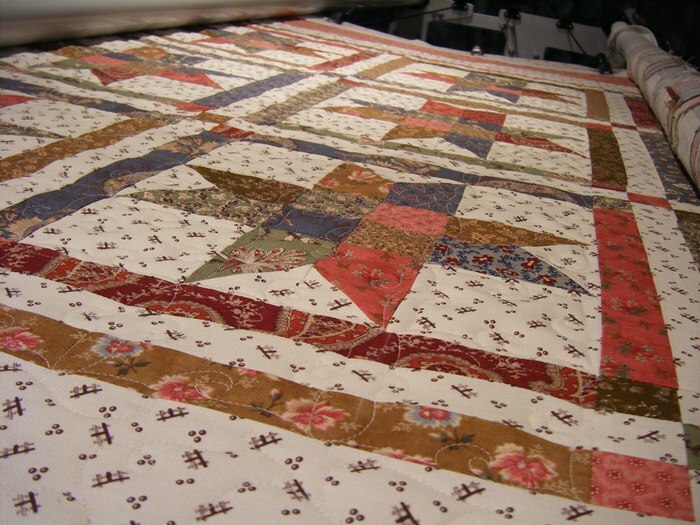 This quilt was made at a retreat a few years ago from the book, Strawberry Jam. This is the Argyle Sock pattern. 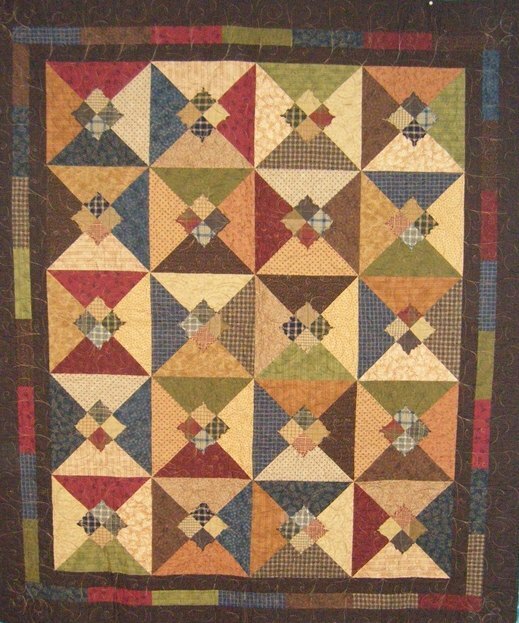 I really enjoyed quilting this and love the border quilting. It is with variegated thread because I love the accent the thread gave it. The center 4-patch is cut on the bias and sewed on with the raw edges so the edges frayed when I washed the quilt. Here you can see the border quilting better. 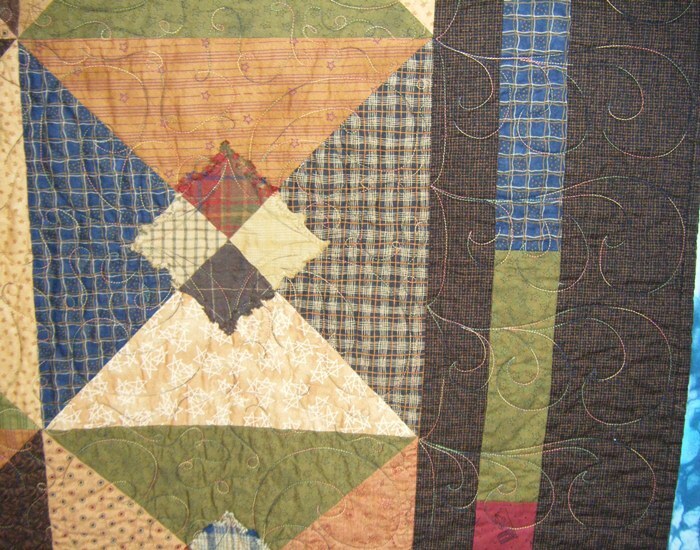 This is basic custom quilting with the variegated thread. It is so cozy with a flannel backing. 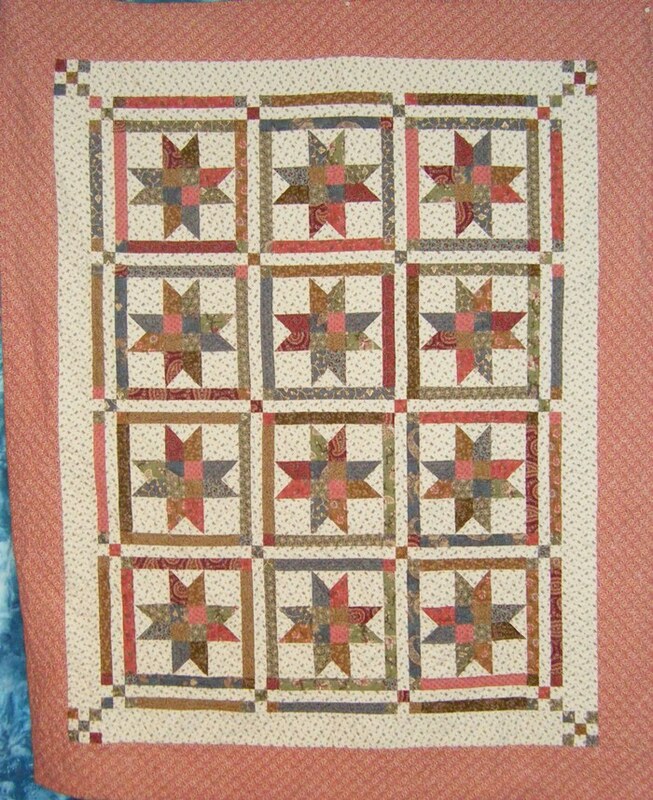 I love this quilt so took lots of photos of it! I made this at a guild workshop and I’m so glad to have it quilted. It is on the couch now as a spring throw! This quilt has basic custom quilting with a variation of continuous curve (more like a bracket) for the blocks & sashings and a meandering leaf for the outer 2 borders. 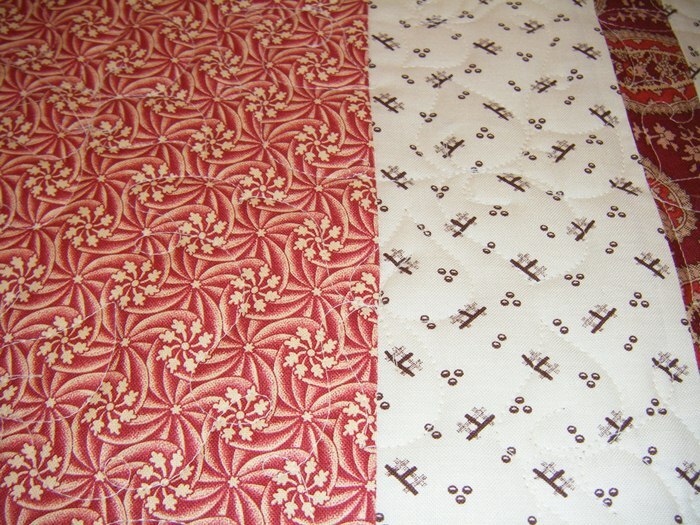 This is quilted with So Fine thread which blends well with the reproduction fabrics.